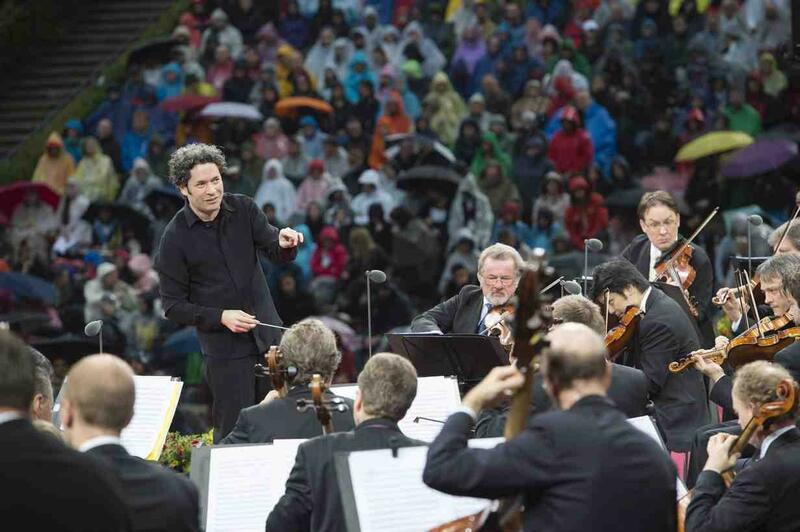 Waldbühne 2017 was the third time Gustavo Dudamel was guest conducting the Berliner Philharmoniker's annual season end concert at Waldbühne Berlin. Back in 2008, the Venezuelan conducted the orchestra’s traditional open air concert, debuting with the orchestra at the same time. In 2014, he returned for “A Midsummer Night” honoring Shakespeare’s 450th birthday, and 2017 will saw him perform an all-German program. For his third concert at Waldbühne, Gustavo Dudamel was favoring exclusively German romantic Music; works by two composers who are almost exactly the same age and are both from Saxony, but in personality and musical conception could not be more contrary: Robert Schumann and Richard Wagner.